Happy Friday! I am so glad it is finally the weekend and I have all next week off for Thanksgiving break (and I am SO EXCITED!). I’m so looking forward to a little break. Tomorrow my school plays the state playoff game and just thinking about it makes my stomach hurt a little! I’m so excited to see them play the game and, God-willing, WIN! Anyways follow me on Instagram to see how they do! 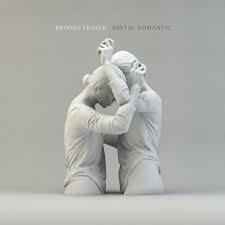 Today I’m sharing the new Brooke Fraser album, Brutal Romantic. A few weeks back I shared the first single off the album, Psychosocial, and I knew the whole album was going to be awesome… And trust me it is! It’s one of the coolest electronic albums I’ve ever heard. You’ll want to check out Brutal Romantic! You can download the album on iTunes, Spotify, or her website!